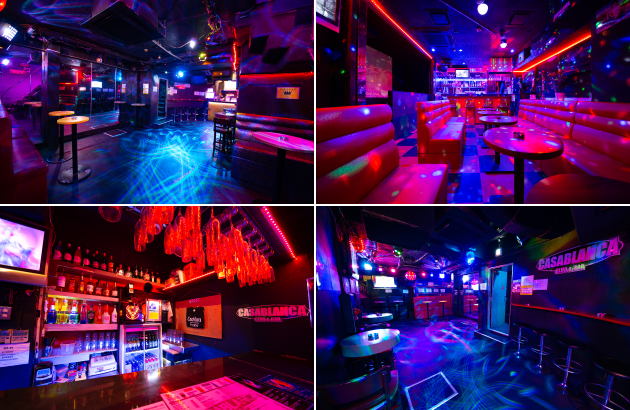 “CASABLANCA” is the only one nightclub×bar in Shinjuku Kabukicho. Popular DJs active in each clubs in Tokyo’s 23 wards such as Shinjuku, Ikebukuro, Shibuya, Roppongi, Ginza, etc are replacing everyday and liven up with HIPHOP・R &B・Reggae・Electro etc. The inside of the shop is divided into BAR of B1F and B2F dance floor which can accommodate 150 people. Dance Floor is equipped with modern sound equipment and lighting system, director equipment such as a smoke machines, and also lends to various events such as DJ events, dance events, band lives, wedding second parties, corporate parties etc. And also, we support relatively small parties such like birthday parties, so please don ‘t hesitate to contact us. 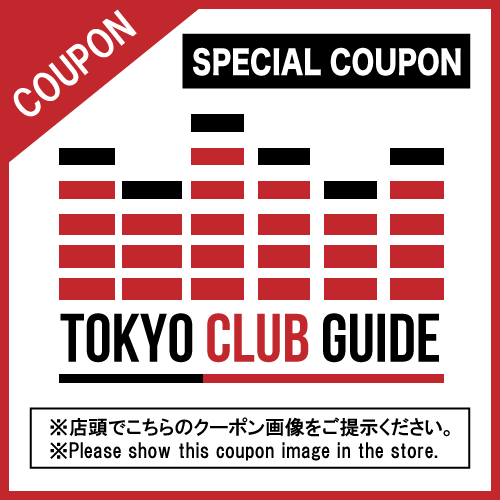 Show TOKYO CLUB GUIDE coupon image, ALL TIME 1Drink service!